As you may have read in Paul Edmondson’s previous forum post on the topic, eBay is going to be available to many of you shortly. We have always cared deeply about the ability for Hubbers to earn and are looking forward to seeing how this enhanced earning privilege will allow Hubbers to earn more. We greatly appreciate the feedback you shared. The FAQ answers most of the questions that were asked in the initial thread, from reporting questions, to what happens if you already have an eBay Partner Network account. Many more Hubbers will now have access to the program which we think is a great opportunity for lots of you! The process will be simple. Sign-up for the HubPages Earnings Program (if you have not done so already) and select the “eBay Program”. HubPages will process your program application with eBay and confirm once you are approved. 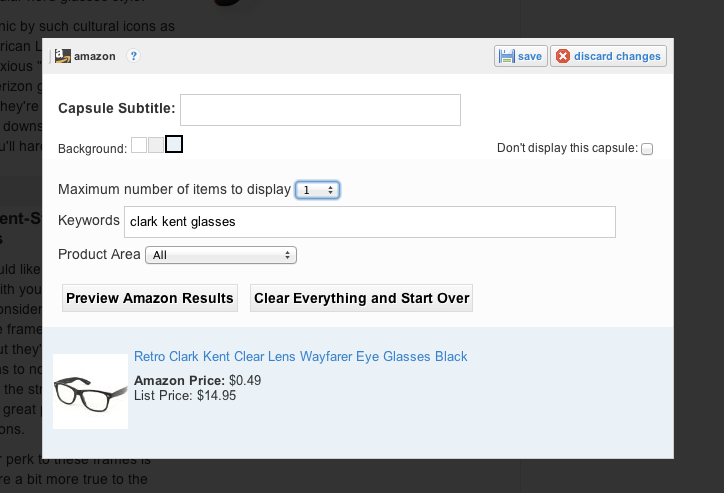 Then you can add relevant eBay capsules to your Hubs. The program will track referrals from your Hubs that lead to transactions on eBay. You will accrue into your HubPages Earnings Program balance from this activity, based on the amount and quality of clicks from your Hubs . You will hear from us next week to announce that the program is open. Please note that we’ve renamed the HubPages Ad Program to accommodate the eBay Program and possibly other affiliate programs down the road. The overall mechanism by which you earn and are paid by HubPages is called the HubPages Earning Program. Under the HubPages Earning Program, there are 2 programs currently: the Ad Program (HubPages Ad Program), and the eBay Program. We broke it out this way so you can see your earnings by program. This afternoon, HubPages HQ was visited by none other than thisisoli, an Austin-based hubber who is visiting San Francisco at the end of a lovely California vacation with his wife. thisisoli, a HubPages member of two years now, is the third hubber to visit us at 95 Minna Street. He had a look at the office, and met the team, after which we adjourned for a great lunch at Osha. We had a great time chatting, and learned a lot from thisisoli’s superior hubbing skills. He’s especially adept at working with Amazon and eBay capsules, and is looking forward to the holiday season, which can be quite lucrative! thisisoli shared with us that he had originally joined HubPages looking to set down some backlinks for his wife’s website, My Vegan Planet. After publishing some hubs, he left the site alone, but noticed after some months that a decent chuck of AdSense revenue was coming from HubPages and decided to give it a more thorough look. Now, thisisoli has over 175 hubs and is very adept at measuring his success and finding exactly what it takes to write useful, lucrative hubs. 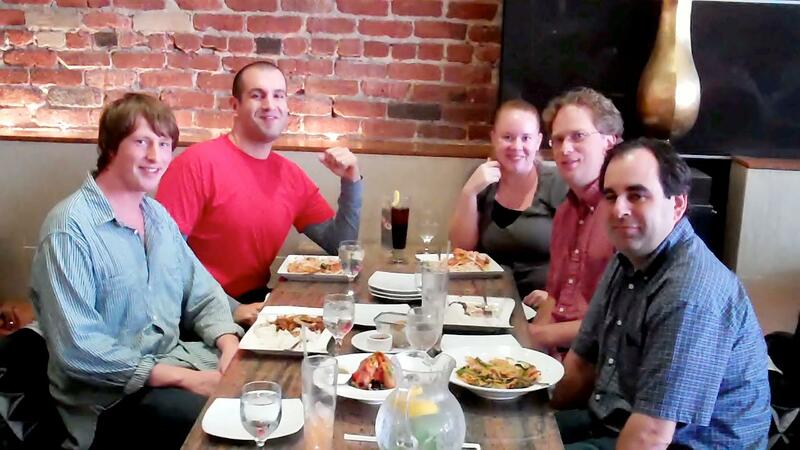 We were all tickled to meet a fellow hubber in person, and we look forward to meeting more of you in the future! Thanks for stopping by, Oli! Even though it’s hard to believe, it seems that it is now officially December, which means that we are smack-dab in the middle of yet another crazy holiday season filled with sales, shopping, traveling and family get-togethers. It’s so easy to get so caught up in the holiday madness that sometimes you wish that it would just be over as quickly as it showed up. Well, I’m here to tell you that there’s no need to be such a Grinch and besides the fact that you get additional vacation time and a chance to hang with your family(could be good or bad), there are definite bright sides to this whole ‘holiday season’ thing. You see, from a HubPages perspective, the over-hyped Christmas shopping season that kicks into gear this month means that people are looking for stuff to by and despite some slowdowns in online spending this year, more people than ever will be heading online to shop. Although yesterday(aka Cyber Monday) is supposedly the busiest online shopping day, the entire month of December leading up to Christmas creates a very opportunistic time for Hubbers to make some additional revenue. Whether people are out searching for electronics, movies, books or beauty products they will be looking for places online where they can learn more about things and potentially buy things as they begin to mark people off of their Christmas shopping to-do lists. One of the best ways to capitalize on this product-buying trend is to create very informative and product specific Hubs that include Ebay and Amazon Revenue Capsules. These capsules enable those browsing your Hubs to not only learn about the products, but buy them directly from your Hub as well. This makes the purchasing process easier for the buyer and it helps you earn some additional cash in the process. You’ve helped them make an informed decision and because of that you get a piece of the pie if they follow through with a purchase on Amazon or Ebay. Sounds like a great HubPages holiday shopping situation for everyone involved, don’t you think? If you haven’t registered as an Ebay or Amazon affiliate yet on HubPages, be sure to login and check out your My Affiliate Settings page for information how to sign up in a matter of minutes. Now, hurry up and get to Hubbing so that you can turn this year’s holiday season into a way to make yourself some extra Christmas spending cash. Also, according to our reports, Ebay is currently trending towards generating over double the amount of revenue per click that Amazon is generating, so start plugging in those Ebay Capsules, Hubbers!